I really wanted to learn how to ride my new bike properly, never having had much experience and nervous about riding in traffic. Susanna was recommended to me and she is a terrific teacher. She gave me confidence and gently pointed out how I was going wrong and how to put it right. She also taught me the rules of the road as they apply to cyclists - something every cyclist should know to stay safe. My lessons with her were exactly what I needed to feel comfortable, and it was fun too! Susan F.
Susanna Grimes is a nationally certified CanBike instructor with over 15 years experience teaching cycling skills to hundreds of adults and children in Greater Victoria. She loves to witness the freedom and sense of accomplishment that students feel once they gain some cycling skills and knowledge. It all began many years ago in Vancouver: After one too many times rushing (by car) to the gym after a long work day, changing into workout clothes, doing aerobics robotically under fluorescent lights, changing clothes again and driving home, Susanna thought "there has to be a better way!" Going to the gym was a hassle, expensive and not really enjoyable. So, with her brother's mountain bike, she decided to try cycling to work. It was tough at first, but she persevered. After a couple of weeks, she discovered that not only was cycling better at releasing stress and keeping the pounds off, it was actually fun! Hearing the birds, feeling the breeze, smelling the flowers and saying hello to other cyclists were all part of the experience. Twenty years ago she moved to Victoria - Canada's Cycling Capital - and has never looked back. 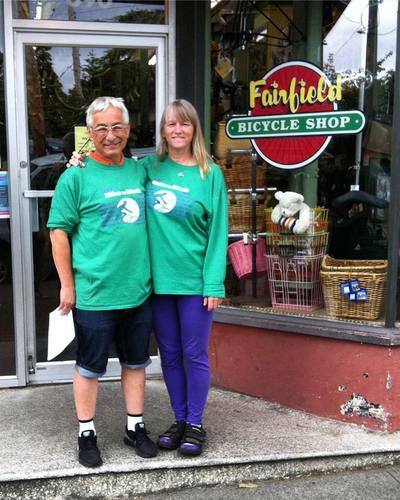 She joined the board of the Greater Victoria Cycling Coalition and became the region's Bike to Work Week Coordinator. 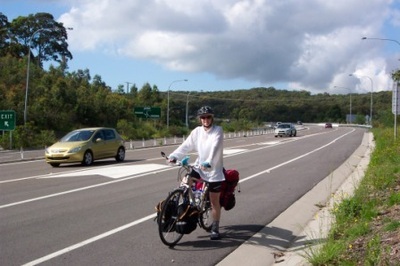 Other cycling work followed - as a bicycle tour guide, bike courier, bike mechanic and cycling instructor. After selling her car, she managed the Victoria Car Share Co-op (now MODO), of which she is still a member. Aside from teaching cycling, she also works at the Fairfield Bicycle Shop as their Office Manager and Community Liaison. She also volunteers on the City of Victoria's Active Transportation Advisory Committee.